This month’s featured lifter is SEAN COLLINS. am heavily active in the USAPL, serving as a state referee, club coach, meet director, athlete, and most recently, athlete representative. My best competition numbers are 212.5kg for squat, 140kg for bench, and 240kg for deadlift. When I’m not working, I’m almost certainly at home recharging my introvert batteries with my (way) better half, Kayleigh, and our gigantic cat, Demetri Catmelo Collins. Sean Collins: I joined a CrossFit gym right across the street from my apartment, Crow Hill CrossFit, so I could supplement my interest in Brazilian Jiu-Jitsu (funny enough, this is where I’d start my coaching career, and where I met my business partner and co-owner of MoC, Kurt). I learned how to low-bar, bench press, and deadlift, and I fell in love with those movements (and also learned that I was garbage at pretty much everything else in the curriculum). Luckily, there was a powerlifting-specific coach on staff at the time named Eric, who after seeing me squat 315lbs super high during an open gym session, asked me to stop being an idiot and I obliged. Ever since then, I’ve been powerlifting pretty much exclusively for the past 5+ years or so. SC: The American Open in DC back in 2014! SC: Man, there are so many things I’ve learned since my first meet, but I’ll share one of the most important lessons: I’ve never been to a meet where I couldn’t find a sense of community, camaraderie, and support from perfect strangers who share the same love of the sport regardless of background (or personal views/beliefs), so if you’re thinking of competing but worried that everyone else is going to look down on you for your numbers or experience level, please know that there are plenty of coaches, volunteers, and experienced athletes that will literally give you the shirt off their backs (or the socks off their legs, or the singlet off their body, etc). Everyone wants everyone else to do well, and you’ll likely meet a friend, a new training partner, or a coach you’d like to work with, at your first meet. It’s never too early to compete, and it’s better to get the experience rather than to wait until you’re “strong enough”. This is why MoC’s most experienced competitors and coaches are encouraged to help individuals who aren’t on the team while attending meets- lifters who show up without handlers at their first meet are the single-most-likely individuals to be one-and-done powerlifting competitors, and to grow this sport at the grassroots level, I believe most competitors / good coaches operate with a sense of urgency not only for themselves / their athletes (respectively) but also for the individual who is new to the competitive scene looking for some guidance. SC: As a coach, I aim to further give back to the sport and assist team USA at the IPF / NAPF level (any head coaches reading this- know that I’m down to volunteer as an assistant coach for you when building out your team for upcoming comps), and to just keep learning and grow in the federation. As an athlete, I hope to compete at the Arnold Sports Festival next year, but for now, my next upcoming meet will be January’s Northeast Iron Beast competition in upstate NY. SC: I don’t think I have one, to be honest. It used to be deadlift since I made minimal progress on that for a long time, but bench and dead both seem to be going well, so to not curse myself, I’m not going to pick my least favorite haha. SC: I write my own programming! I’ve been doing so for a little over a year, and have been able to put on about 50kg to my total since then. I program almost exclusively in RPE’s. SC: I lift for Team Murder of Crows! I’m a pretty big introvert, so I like to be on my own when I’m training because my lifting/training personality cannot be more opposite to my coaching personality. However, when competing / PR’ing in the gym, I love being around my athletes and teammates! You can find a lot of my training partners/teammates on my Instagram, @barbellsandcats. 1) the earlier you can get in front of managing outside stressors, nutrition, and sleep, the easier you’ll make progress as an intermediate or advanced lifter once the novice gains run its course. 2) fitness influencers and/or your favorite athlete are, for the most part, not the same thing as a professional coach. Don’t fall into that trap. 3) think of yourself as an athlete and powerlifting as your sport. Recognize that there is a time and a place for everything in training for a sport and that training towards a sport is not the same thing as exercising. In that same vein, consider maxing out as any end-game in sport- the NBA finals, the Superbowl, or the world series. You would never expect Lebron James to play finals-level basketball year-round, so why do you want to max out year-round? 4) seek legitimate information, critically think through what advice you receive on the internet, and learn more about what it takes to improve in your sport. I believe an informed athlete is a better athlete, and the easiest way to be set on the right path in this sport is to hire a coach who you can see yourself getting along with, has a consistent/reliable track-record, and fits your needs/character as an athlete. 5) be active in the greater community. 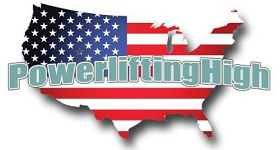 Join a powerlifting-friendly gym to get training partners and quality advice (along with the training environment you can see yourself doing well in), and/or connect with other powerlifters on IG or other social media, and volunteer at or attend local meets. The easiest way to make progress is to make sure you do it with others you love that are holding you accountable! SC: For one, I can be very anti-social despite being relatively extroverted at MoC or at a competition. A lot of my personality is shown through social media since it’s easier for me to go in and get out whenever I feel like it. Secondly, I really, really enjoy learning about history and politics, and I like to de-stress by playing video games. If anyone wants to play Destiny 2 with me, find me on PSN @Mochi_9. SC: I can’t possibly pick one- there are so many of you that I enjoy interacting with and seeing that picking just one would likely land me in some hot water of sorts haha!